not be distributed by anyone in any format other than by the copyright owner. under copyright. Email HERE to inquire. All files below are ZIPPED to conserve space on my server. Please click on the picture to get to the download page. This 2-page document will walk you through the proper way to 'slope' the shoulders. 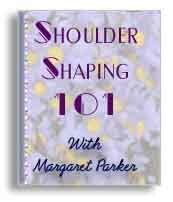 It does not include any neckline shaping, only the shoulders. Perfect addition to any table setting, these knit and starched napkin rings make a wonderful addition to your gift list. 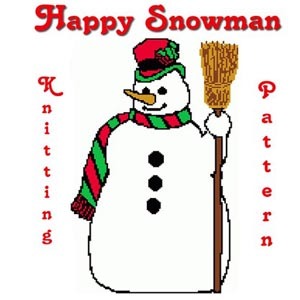 This pattern is from our Stitch & Starch Baskets book which we have available here online. I made this one for one of my grand-daughters and found myself making a dozen more for her friends! Good quick seller! This charming little Blue Bird measures 118 stitches x 120 rows. 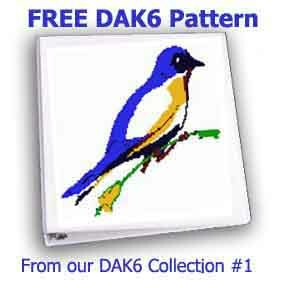 Available in Standard & Double Jacquard .pat files or Graph for those who wish to hand knit this cute little bird. Our classic Partridge In A Pear Tree design measures 124 stitches x 196 rows. It is available in both Standard and Double Jacquard .pat files. 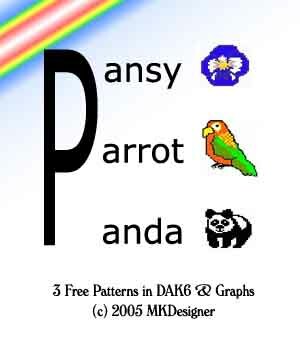 3 Cute little DAK Patterns for a Pansy, Parrot & a Panda! We also have the graphs in WORD and PDF. Our 4th of July pattern is 98 stitches x 110 rows (approximate gauge of 7x11 = 14"wide by 10" tall). Good size for placemats, tote bags, etc. It has a liberty bell in the corner with 1776. 176 stitches x 274 rows on a gauge of 8st x 11 rs = 1" Measures: 22" x 24"
This 6 color pattern measures 175 st wide by 120 rows long. It has been checked against Double Bed Jacquard. on a gauge of 8 st by 10 rows, it measures approx.y 21" wide by 12" long. 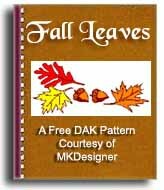 in either the DAK .pat files or GRAPHS for hand knitters or manual input into your KM. Cute little bat for your halloween decorations. 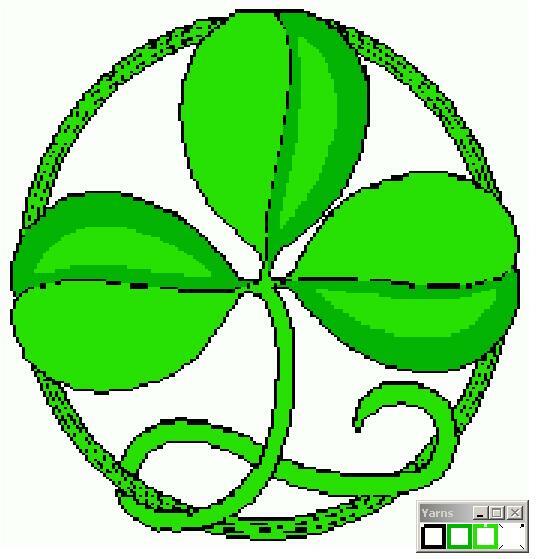 This is a Cross Stitch pattern and requires Hobbyware softare or download the graph. 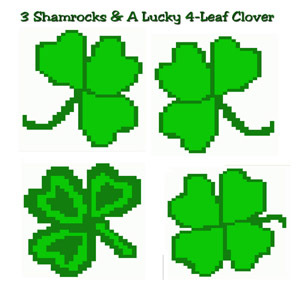 The pattern measures 31 st x 34 rows, which includes the blank edge white surrounding the hearts. 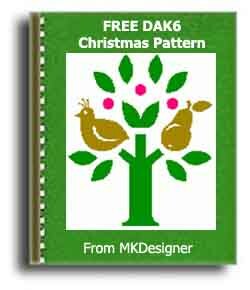 This lovely little dove pattern is 48st x 44 st and is perfect for adding to any of your holiday cross stitch. My depiction of this magical, mythical being measures 79 stitches X 84 row. DAK's .pat file or Graph PDF file. The following are a few (both DAK & Graph) that are coming soon. Email me if you need one right away before I get the HTML completed. I'm slow at this and life & health gets in my way very often. As I go along on the revamping, I'll be converting the WORD files to PDFs. Specify .PAT file or GRAPH if you want something emailed. needing the latest version of Adobe Acrobat Reader which can be downloaded.